This is a multi-purpose, amphibious aircraft. Two of its most interesting features are retractable floats, and a large, rear-facing cargo door. I created it as the Chief Designer of the Accord design bureau. The craft has been flown extensively, both from standard airstrips and rough fields. It was exhibited at the Moscow Air Shows of '91, '93, and '95, and is included in all recent editions of Jane's All the World's Aircraft. Our test pilot, Michael Nickiforov, made successful, near-aerobatic flights with it. However, many problems were encountered with the Russian-made powerplants. These engines did not prove reliable, and produced substantially less power than their rated output. The prototype, therefore, did not have sufficient power to fly from water. Since customers were requesting more payload capacity, the design was re-engineered to become the Accord-201. 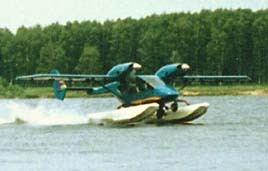 As with the original, this improved model is a multi-purpose, amphibious aircraft, with retractable floats and a large, rear-facing cargo door. Major improvements are the addition of two additional seats, for a total of seven, and a change of engines. Power and reliability are substantially improved by using Teledyne Continental Motors IO-360s. The design now incorporates twin tail fins, to deal with the increased take-off thrust. The airframe has been improved and simplified to increase reliability, and to make it economical to produce. The craft has been flown from both land and water. All the pilots who have flown this plane have praised its outstanding performance. The aircraft was exhibited at the Moscow Air Shows of '97 and '99. It is included in recent editions of Jane's All the World's Aircraft, together with the original prototype. I assist my former excellent test pilot, Michael Nickiforov, with management of his company, "Wings of Rebirth", created by him to sell, operate, and maintain foreign aircraft in Russia, from the region of Nizhny Novgorod. This town is a major industrial center that features an excellent geographic location, sufficient facilities (including a large exhibition center), and the motivated people to promote aircraft in this country. I help him with foreign and Internet communications, and we can co-ordinate your company's interaction with domestic services, and help facilitate certification procedures, to ensure a profitable venture. I believe the Accord-201 could be the basis for an attractive kit design, so I could re-design this plane to meet requirements of your production facilities. me if you are interested in investing in such a project. This aircraft is designed to meet transportation needs along the sea coasts of Russia. With economic crisis, overhead costs of ship transportation are making that industry less viable. The Mist could reduce travel time for some people from two days to two hours, at half the cost, with vastly improved comfort. The new aircraft would also be useful in remote areas where roads and railways are less than optimal. Structure of the airframe is simple and cost effective. Improvements in aerodynamic efficiency provide for useful cruise speeds and increased range. 1983 to 1988: Student Design Bureau of Moscow Aviation Institute, aeronautical technician. 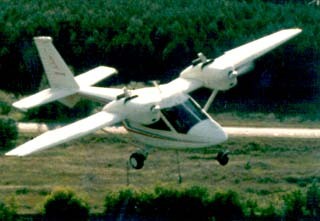 Participated in creation of "Photon", "Junior" (Now in series production, known as "Aviatica MAI 890"), "Acrobat" airplanes. 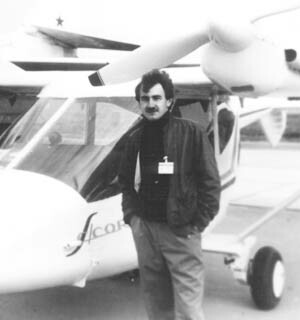 1988 to 1989: Aeronautical Engineer at Nizhegorodsky Aviation Plant design Bureau. Supported series production of some military planes. 1990 to 1997: "Accord" Design bureau, Chief Designer. 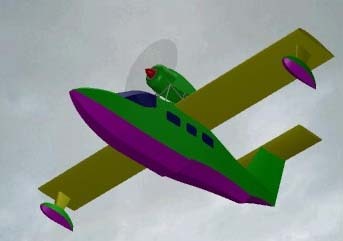 Created "Accord-Prototype" and "Accord-201" amphibious airplanes. The whole scope of work, from layout design to production and flight tests. Personal responsibility for flights safety. 1. The whole cycle of creating airplanes to meet FAR-23: developing technical requirements, economical, aerodynamic, strength, dynamics computations, design and construction of airplanes, all production processes, etc., up to flight tests and organizing series production. 2. Leading development and production staff. 3. Working in CAD systems: ANVIL 4000, 5000; CATIA v4, v5; Euclid 3; Eucid Styler; Euclid Quantum; Bentley MicroStation 95; AutoCads 12, 13, 14. 4. Developing applications in Assemblers, Pascal, C++, Java, Delphi Client-Server Suite, Visual Basic, MS Office with VBA, using HTML, Perl, CGI, PHP, mySQL, Macromedia Flash 5. Scaled Composites - Burt Rutan's company. The most exciting and beautiful airplanes of this century. Web site of Vincent Fabri, wonderful French webmaster and enthusiast of hydroplanes. Great stories about his adventures. I update this page when anything changes. Welcome back soon!